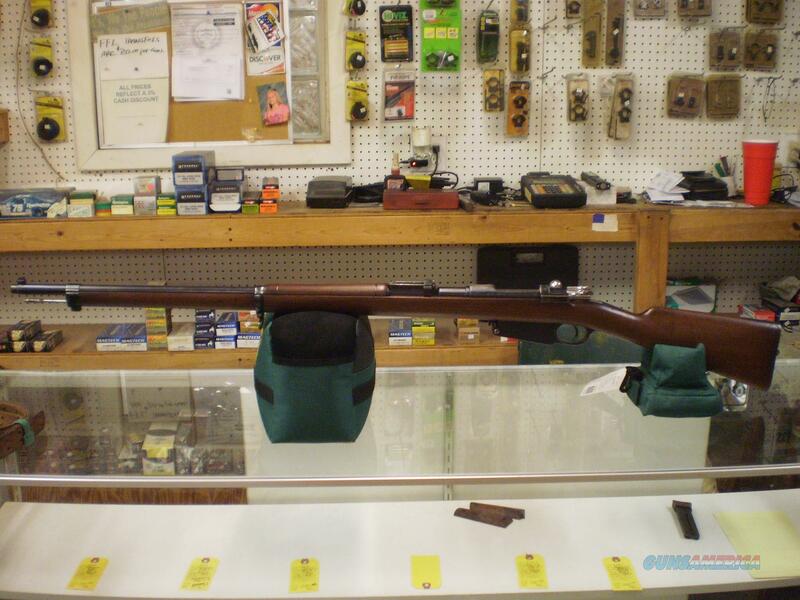 Description: SUPER CLEAN ARGENTINE MAUSER CHAMBERED IN 765 ARGENTINE. ALL NUMBERS MATCHING. COMES WITH A LEATHER SLING. SERIAL NUMBER M5085. RIFLE VERSION NOT A CARBINE.